2 beds, electric heating, electric cooker, wardrobe. Covered terrace with high quality seating furniture and lake view. The water supply in the house is fed from the lake, H. You can get your drinking water from the nearby fresh water fountain or from the shop. 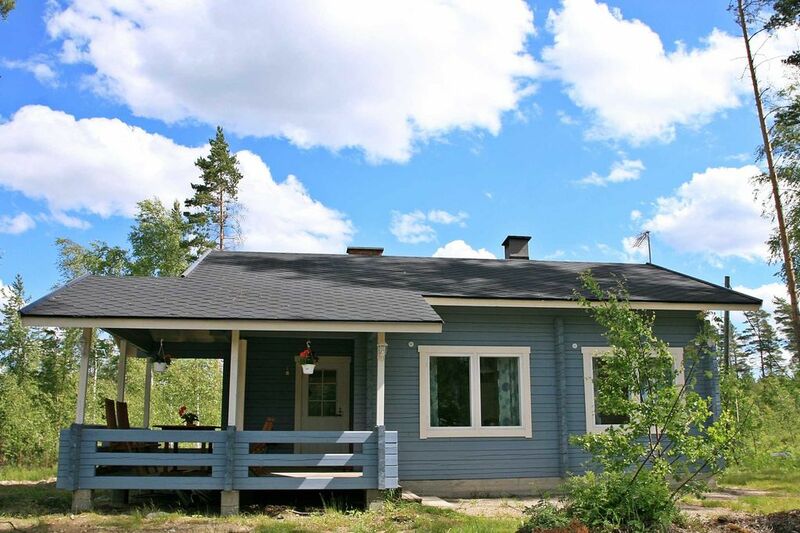 A newly built and quiet holiday home near Otava / Mikkeli with cozy Finnish style furniture. Sunny property with view to the west. The surrounding area offers many opportunities for active and nature lovers as well as cultural highlights (eg historic manor houses, markets, gardens and museums in Mikkeli).